Can you rent lift chair recliners in Spring TX? Yes you can! In addition to sales, E Care Medical Supplies also offers recliner lift chairs rentals in Spring TX from two of the top lift chair manufacturers in the industry, Golden Technologies & Pride Mobility. Lift chairs are great for individuals that have difficulty moving from a sitting to standing position and the reverse with the touch of a button. What Type Of Lift Chair Should You Choose? Any of our lift chairs will help you to get up, the difference among them is how they recline back. For instance, some lift chairs offer "Two Positions", which is a sitting position and a TV recliner position. Other lift chairs offer "Three Positions", which is a sitting position, TV recline position and a napping recline position. Our best and more popular recliner lift chair rentals are the "Zero Gravity Position" which offers a variety of positions, from sitting, to napping to the very popular zero gravity position. Zero Gravity lift chairs are the best for sleeping and even for post surgery recovery. Besides the different types of reclining positioning, our lift chair recliners have different options they such as heat and massage, lumbar massage, power pillow, luxury brisa or ultra leather fabric and more. You can experience the medical benefits that our electric lift chairs recliners have to offer first hand by making a trip to our local medical supply store showroom in Houston. We allow you to test out the lift chair recliners you like in order to determine if it is the right model for your needs. What Are Zero Gravity Position Recliners? Zero gravity recliner lift chairs allows to position your body in such a way to make you feel weightless, stress-free, and more energized. Having a zero gravity position recliner can bring many health benefits including better blood circulation, relieve of aching joints, reduces back pain, reduce leg swelling, and other benefits. If you are considering renting or purchasing a recliner lift chair, choose the best and more popular lift chair of all, choose a Zero Gravity Lift Chair Recliner. Lift chairs will help you to get up with a touch of a button, but they are also great to sleep and position your body in the most optimal position to give you the most comfort during your surgery recovery process. If you are having open heart surgery, hip replacement surgery, shoulder surgery, breast augmentation surgery, tummy tuck surgery, undergoing chemotherapy, or any type of surgery or procedure, a zero gravity recliner lift chair will be essential in speeding up your recovery process while making you more comfortable at home. Try our highly recommended medical power zero gravity recliner lift chairs and you will enjoy the medical benefits they will bring during your recovery period. How Much Do Recliner Lift Chairs Rentals Cost? Our recliner lift chair store showroom has the largest fleet on lift chair rentals in stock ready for delivery the same day, so you can rest assure that you can rent a top quality, clean recliner lift chair rental for the day that you book it. On average the recliner lift chair rental price is around $300's. How Do Recliner Lift Chairs Rentals Work? Renting a lift chair is easy. Start by calling us and talking to one of our experts to help you choose the right lift chair for your specific needs. Once you decided what lift chair recliner to use and the rental period you will be needing one, we will make a reservation to deliver our lift chairs for the day and time you choose. Once that day arrives, one of our friendly technicians will call you within the set rental time and let you know that he is on route to deliver your lift chair. Our technician will deliver, install and demonstrate the lift chair operations for you. There may be a situation where you or a family member may be released from the hospital and they are in need of a lift chair. There may be a similar situation where you have been so preoccupied for the wellbeing of your family member that you didn't make the proper arrangements to have a medical lift chair set up in your home. Whatever your situation is, we can help you get a lift chair deliver and install the same day at your home or medical facility. E Care Medical Supplies now offers after hours delivery service. We can deliver our lift chairs or any of our medical equipment the same day with our after our service delivery team. We can deliver after the store has closed, on the weekends or even holidays! Call our After Hours Delivery Team at (713) 321-9500 and set up a lift chair recliner rental reservation for delivery tonight! Our store doubles as a spacious showroom where a selection of supplies, equipment, and accessories are currently on display. With a team of knowledgeable associates who are familiar with all of the products we keep in stock, you can depend on us to help you choose the ideal recliner lift chairs that you can have in your home or facility today. 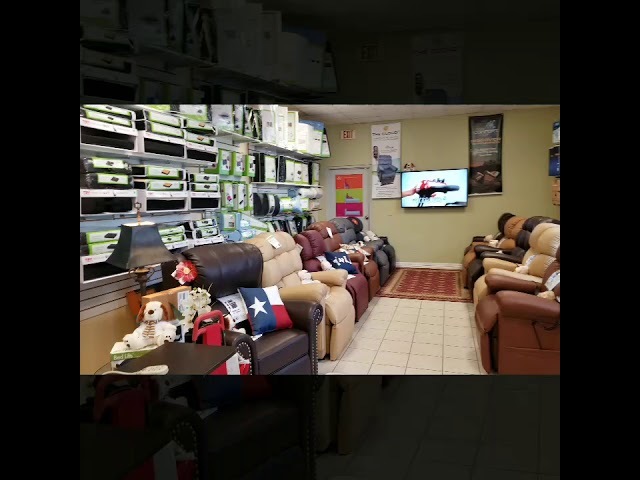 Our store offers recliner lift chairs rentals for: Alief, Alvin, Austin, Bacliff, Bay City, Baytown, Beasley, Beaumont, Bellaire, Bellville, Brazoria, Brookshire, Buna, Channelview, Cleveland, College Station, Columbus, Conroe, Corrigan, Crosby, Cypress, Dayton, Deer Park, Dickinson, Freeport, Fresno, Friendswood, Fulshear, Galena Park, Galveston, Giddings, Gonzales, Hempstead, Highlands, Hitcock, Hockley, Houston, Huffman, Humble, Hungerford, Huntsville, Katy, Kemah, Kendleton, Kingwood, La Grange, La Marque, La Porte, League City, Liberty, Livingston, Lufkin, Magnolia, Manvel, Missouri City, Mont Belvieu, Montgomery, Navasota, Needville, New Caney, New Waverly, Orchard, Pasadena, Pattison, Pearland, Pinehurst, Plantersville, Porter, Prairie View, Richards, Richmond, Rosenberg, San Antonio, San Felipe, Schulenburg, Seabrook, Sealy, Silsbee, Simonton, South Houston, Splendora, Spring, Stafford, Sugar Land, Sweeny, Texas City, The Woodlands, Thompsons, Tiki Island, Tomball, Victoria, Waller, Wallis, Webster, West Columbia, Willis, Woodville, and many more! We also offer deliver service to in Spring to the following zip codes: 77383, 77391, 77388, 77379, 77373, 77389, 77382, and many more zip codes. Make an Online Recliner Lift Chairs Rental Reservation Request Today! Would You Like To Purchase Our Recliner Lift Chairs Instead? Our medical supply store carries a large selection of recliner lift chairs for purchase. Check out our recliner lift chairs inventory here. Recommended Height 5' 9" - 6' 2"